David Beckham has responded to harsh claims about son Brooklyn. | HELLO! 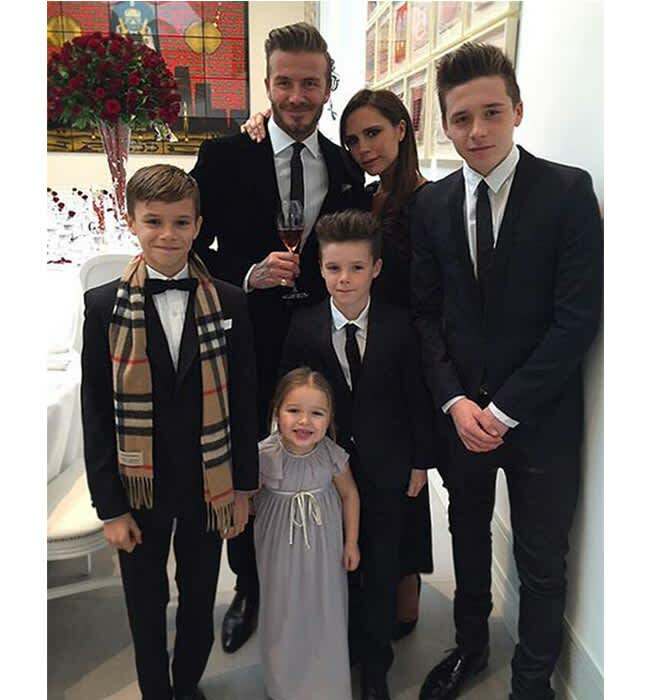 David Beckham has defended eldest child Brooklyn, following negative claims he only scored a Burberry photography job because of his famous parents. Brooklyn, 17, was hired by the fashion house to shoot a new campaign – and his dad has insisted it's because of genuine talent. Retired footballer David, 40, confessed he and wife Victoria, 41, have warned their children about the negative comments and reports that come with life in the public eye. And although David, who is also dad to son Romeo, 13, Cruz, 11, and four-year-old daughter Harper, knows the Beckham name will open doors for his children, he won't have people undermining their abilities. Speaking to GQ US, David said: "We've always protected our children but we've always been honest with them, as well, 'There's going to be things said about you, about us, that aren't true'. "We know [Brooklyn] will make his mistakes – and we know he'll have opportunities because of us. But he's making opportunities for himself, too. So far we've been very lucky that he's found a passion. Whether people believe it or not, he's got genuine talent. He's got a great eye, and he's proven that in the images he's taken." A quick look at Brooklyn's Instagram account, which has over 6.4 million followers, reveals his keen interest in photography, and his feed is full of artsy black and white shots. David also opened up about stories in the press, insisting he doesn't have time to take legal action against every report that isn't totally factual. He said: "Some things get said and you just laugh about it. I work hard for my money, I'm not going to give it away on legal fees all the time. There are certain battles that you pick. When they're not worth picking, they're laughable stories."